Welcome back to the past: June 7, 1990, the day that Universal Studios Florida formally opened its doors. We hope the time travel process this time wasn’t too disagreeable with your stomach; return trips always cause agida. On our first time-hopping jaunt, we hit up half of the brand-new park’s lands and rode a smattering of its state-of-the-art, sometimes-malfunctioning attractions. This time, on our second pass, we’re going to round out our tour with USF’s back half – which, just as with golf, provides some of the biggest surprises. Welcome to the land where every day is the Fourth of July! 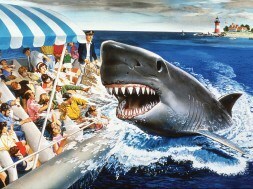 The entirety of Amity is devoted to the large, water-filled attraction known as Jaws, Universal Studios Florida’s biggest (and, sadly, most troubled) opening-day ride, but that doesn’t mean there aren’t other stops to take in, such as hamburger joints and carnival games, all wrapped in a festive, summer-filled bow. 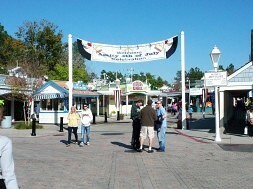 The theming is straightforward but immersive – and festooned with tons and tons of Jaws merchandise, but of course. 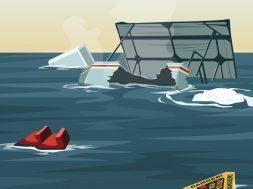 Captain Jake’s Amity Boat Tours is a company that is meant to capitalize on the infamy of the 1974 shark attacks that led famed director Steven Spielberg to shoot his famous movie (yes, Universal spares no expense in blending reality and its attractions into what themed enthusiasts in 2016 will call a meta-narrative). 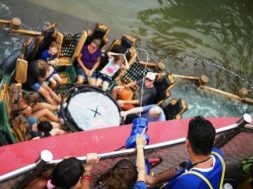 Owner and resident seaman Jake Grundy is the man behind the titular boat tours, and it’s his sworn patriotic duty to start them up as an attempt to rejuvenate tourism to the small, seasonally dependent town. Thanks for making his day. In the queue proper, a series of boathouses situated on the harbor not only feature a smattering of nautical supplies but also a series of overhead TVs that proudly broadcast the local station, WJWS13 (call tag: “The station that bites.” Too soon, WJWS13), which seems happiest to play repeats of classic films and television shows that just so happen to reside in Universal’s extensive library. From there… well, you may think you know what the ride experience itself entails, given that it will end up being operational until the distant year of 2012. You’re wrong. 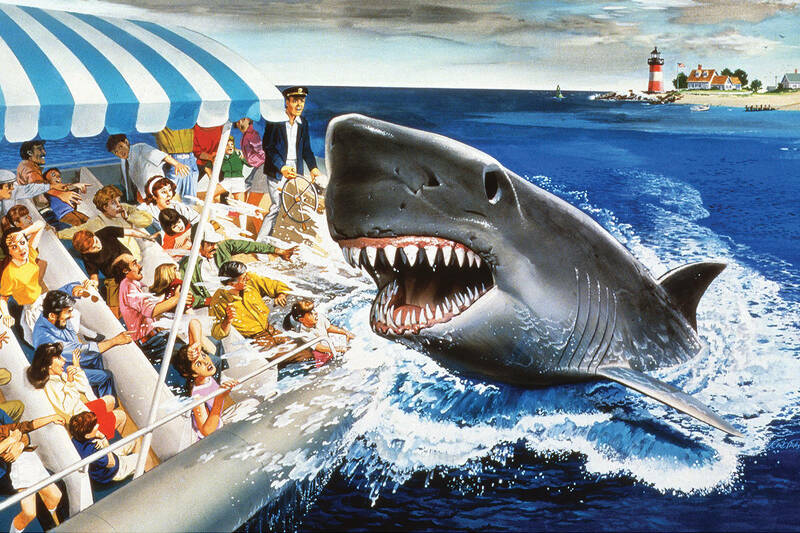 One of the few surviving glimpses of this very first, short-lived version of Jaws (it will be operational for some two-and-a-half months, before its constant breakdowns will force Universal to do an extensive refurbishment and rethinking of its marquee attraction) is this training video that the Amity skippers shot to help train their future sea brethren. While no one is doing the famed spiel in the video, it does convey the basics of this inaugural version of the ride, including the two huge deviations from the second, far-longer-lived iteration. See if you can spot them. Okay – let’s time travel one more time (yes, again), this time to almost three years in the future, when Universal is finally able to reopen Jaws. Nearly all the ride mechanics had to be entirely ripped out and replaced with brand-new designs and components provided by brand-new manufacturing partners, resulting in an attraction that actually works day in and day out (no more getting stranded out in the middle of Amity Harbor every two hours, thank you very much!) but which also required the scrapping of the Jaws-attacks-and-drags-your boat sequence and the explosive finale. Fortunately, they managed to find new gags that work equally well. 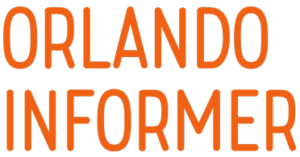 Of all the lands at Universal Studios Florida, Expo Center – what will eventually be rechristened as World Expo some nine years in the future, when the vast majority of its land is repurposed for Woody Woodpecker’s KidZone – is by far the most different in its opening-day version. Rather than a collection of rides, restaurants, and other attractions, this huge swath of land is home to… greenery. And sets. And recreations of famous Hollywood buildings. It’s a nice, quiet, sleepy stretch of road, where guests can get a little isolation and truly feel immersed in the whole filmmaking angle the park is aggressively pushing upon its grand opening. 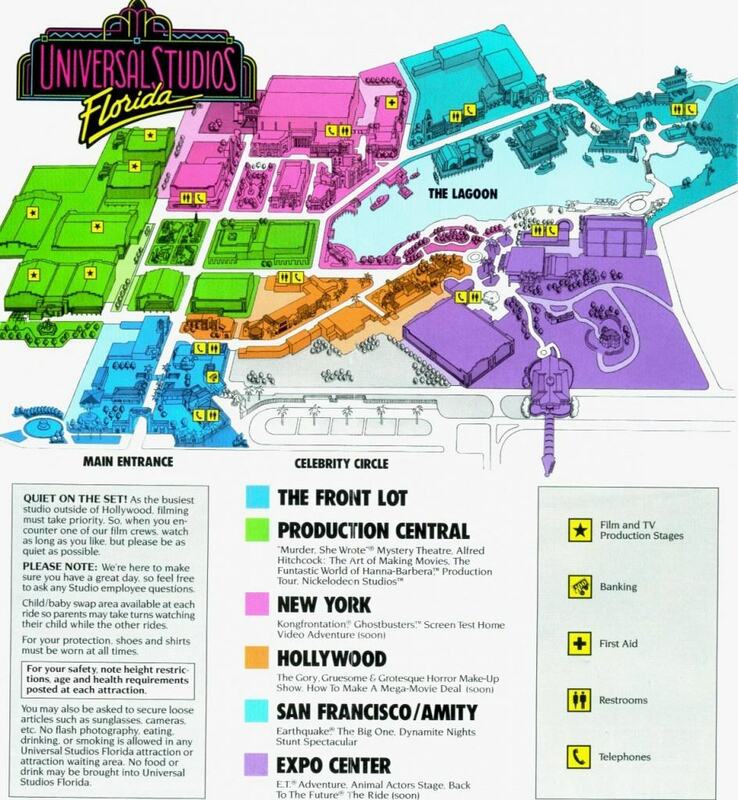 Put in terms of theming, Expo Center is just a generic catch-all for a number of different experiences – hence why Universal originally described this section of the park not as being “In Production” (like Production Central) or as “On Location” (like San Francisco/Amity), but as being “The World of CineMagic Center,” whatever that means. E.T. Adventure is the only traditional ride for the time being, the Animal Actors Stage is the only show, and the Bates Motel, a recreation of the iconic location from the various Psycho movies, stands right in the middle of the giant land (you can find it on the way to the Hard Rock Café, which is built in the shape of a giant guitar and which is the only major franchise restaurant currently on property). 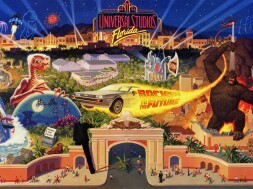 Oh, yeah – there’s also the absolutely giant show building for Back to the Future: The Ride, which will open next year but which already plays such a prominent role in USF’s advertising. That might not seem like much from the perspective of the future, when we see just how much Universal is able to eventually cram into all this open real-estate, but in the context of the past, it’s adequate – and it provides some interesting experiences that are unique to this particular moment on the space-time continuum. No, this isn’t a queue for a ride. And, no, there is no live-action or projection show to accompany the famed building. It’s exactly what it sounds like – a glorified prop, perched on a hill so that forced perspective can do its own moviemaking magic (that’s right – unfortunately, guests can’t get direct access to the legendary building). But on this day in June 1990, it serves a dual purpose: not only is it a monument to Hollywood history, it’s also a “hot set” (as the sign in the video above proudly proclaims), being home to the production of the telefilm Psycho IV: The Beginning (which will air on Showtime a little over five months from now). 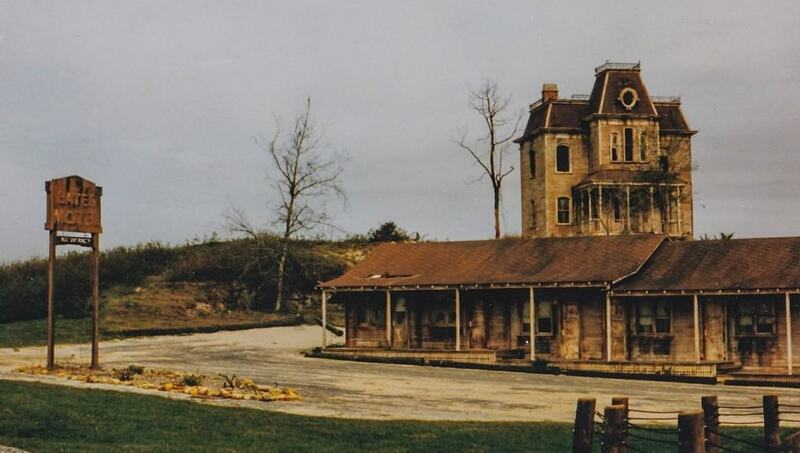 It’s also illustrative of the filmmaking process: on this particular day, the whole house is actually painted a vivid yellow, for the shooting of the various flashback sequences that depict Norman Bates’s infamous childhood; in a short while from now, though, the front of the building will be painted its traditional grey color, along with being substantially aged, in order to accommodate the “present day” sequences – but only the front, since the crew won’t shoot any of the present scenes in the back. Looking ahead to the future, the Psycho house, perhaps unsurprisingly, won’t stand the test of time very well at all; it is closed eight years from now in order to make room for the Curious George Goes to Town splash park. Oh, Hollywood – if Expo Center will see the single biggest amount of changes over the course of the park’s entire lifetime, you will see the fewest. This is actually partially due to this corner of USF never being designed to host a whole repository of experiences; today, on opening day, it has the walk-through attraction Lucy: A Tribute and The Gory, Gruesome, and Grotesque Horror Make-Up Show (which would shortly get a name change to The Phantom of the Opera Horror Make-Up Show). What’s the point of this land, then? Easy – to immerse guests in the “on-location” nature of filmmaking and to, well, celebrate the grandeur of Hollywood. 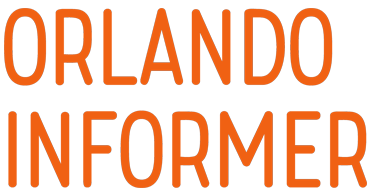 But it should be stated that the whole land is worth it just for the Horror Make-Up Show, which, despite a few tweaks here and there (namely, its opening and its climax), will remain remarkably consistent over the next quarter-century. Phew! This whole time-travelling thing can really take a lot out of you. It’s been great to take a stroll down memory lane – which is an extra-long stretch of imaginary road with Universal, given just how much the company changes its lineup from year to year – but there’s quite no time like the present, yes? 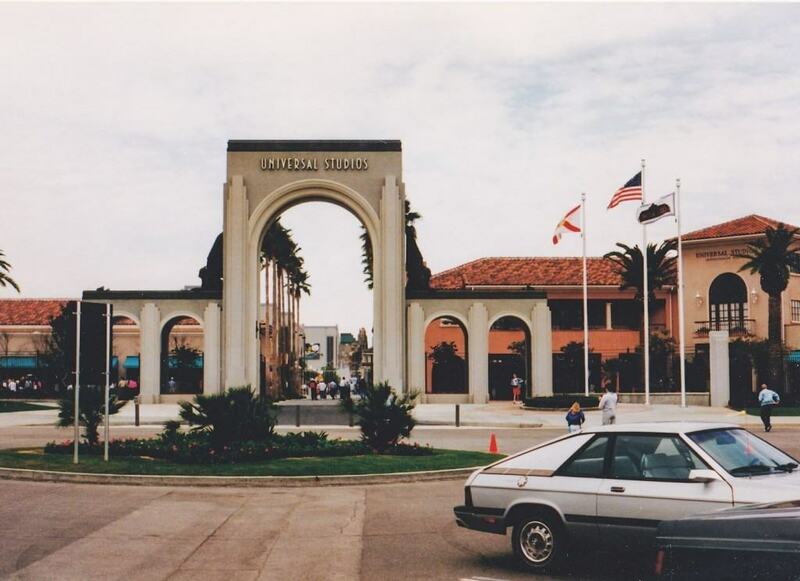 Let’s take one last grand tour around 1990’s Universal Studios Florida and then make like the good doctor and get back to the future. 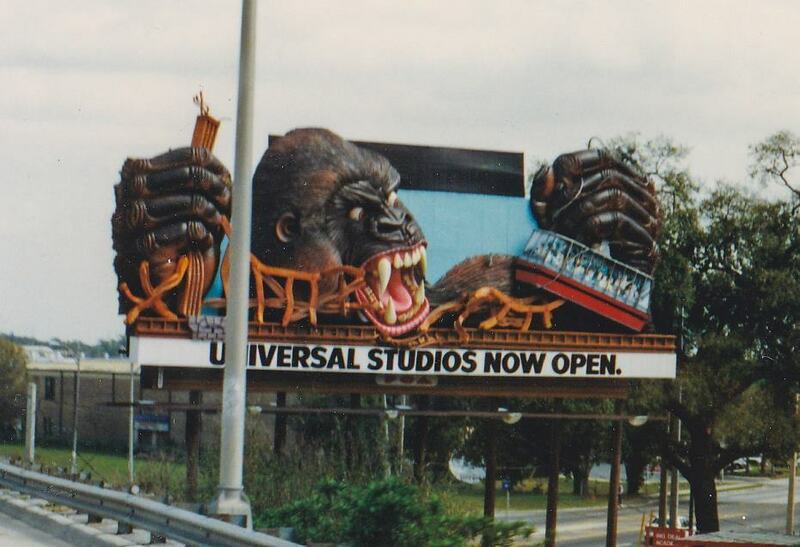 Share your favorite memories of classic Universal Studios Florida in the comments below. 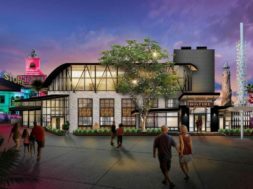 previous Is Disney Springs better than CityWalk?